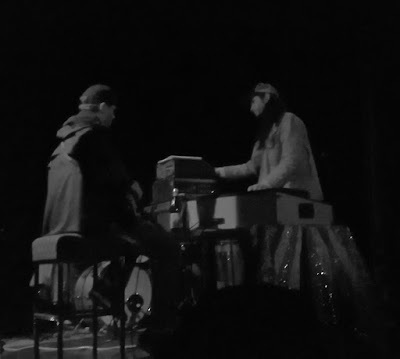 This was my first time catching a full set from this joint effort by keyb wizard Carl Didur and Louis Percival on bass. Percival (who produced some of headliner U.S. Girls' earlier works in his Onakabazien guise) deepened Didur's Éthiopiques vibe with some tasty grooves, including what sounded like a proper Tezeta rhythm. The pair also had their first release — a cassette single that doesn't seem to have manifested anywhere online yet — on sale at the merch table, so hopefully there will be more to follow.